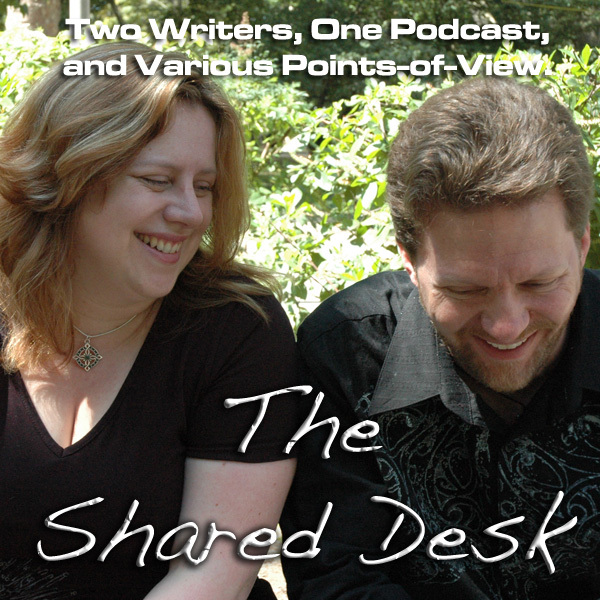 The Shared Desk — Episode #014: All About Scrivener…Almost. Yes we wound up being a day late on this show, but as you will hear in the end we have been anything but idle. This episode is all about Scrivener, that popular software authors swear by. Tee and Pip share their likes, dislikes, and future possibilities for the application, and then Tee shares a rant about Seth Godin and a liberal use of the C-word. 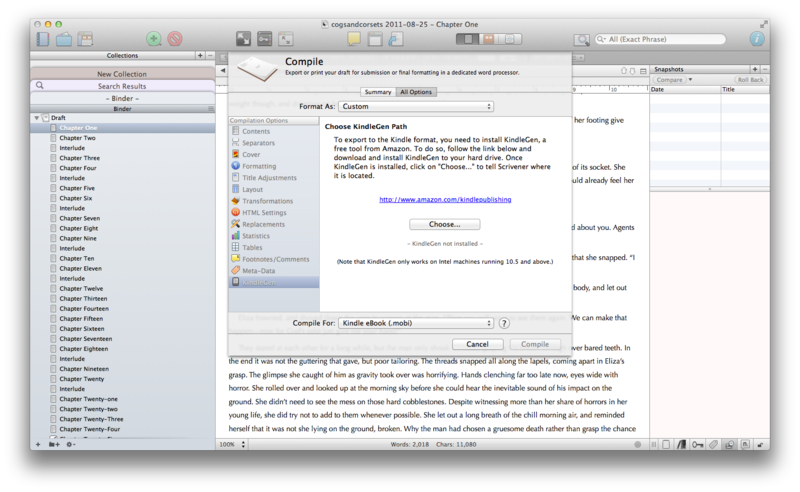 Well played, Scrivener. Well played. UPDATE: And with extra special thanks to Nobilis Reed, we have discovered that Scrivener has a Linux version, currently in Beta. The show launches with a moment’s pwnage! And the show kicks off with Tee giving the wrong URL for Literature and Latte. Scrivener ranks #9 between Lotus 1-2-3 and Solitaire. Tee’s Metallica impersonations still hold up apparently. When did we find Scrivener? Pip calls for the put-down of the Courier font. Getting schooled by Scrivener: A history that Tee and Pip didn’t know…. Pip finds out Godin doesn’t write books. He writes manifestos. Seth Godin is not being censored. He’s trying to take advantage of Apple. Tee then goes off…and goes…and goes…and goes…. A call for your feedback and your voicemail. If we get enough feedback, we will bump up our Listener Appreciation show to Show #15. Comment, send us voicemail, and let’s talk! Tee releases The Case of the Singing Sword, and makes a conditional promise concerning new mysteries from the dwarf detective. And between Pip’s family visiting, the Steampunk World’s Fair, Balticon, their May is done. …and after Pip shows up Tee on the Creative Commons tag, Tee breaks into Key & Peele to try and save face.